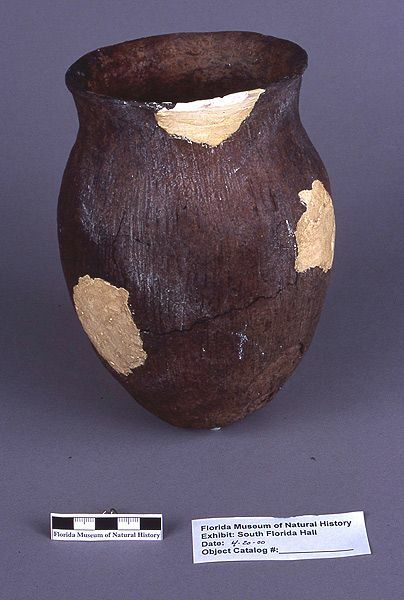 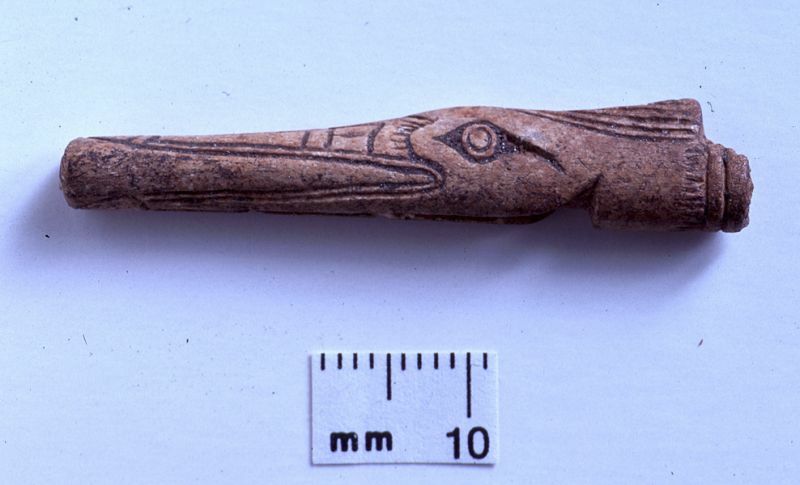 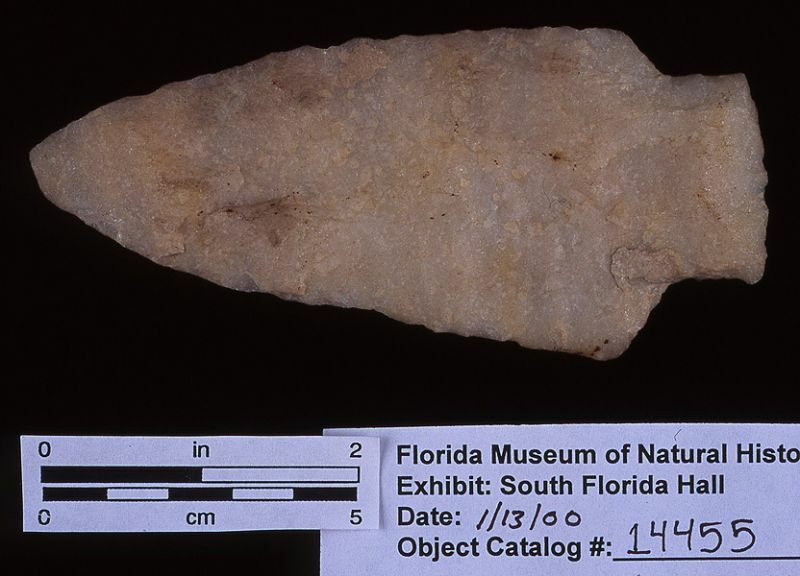 Systematic artifact collections are most comprehensive for Southwest Florida. 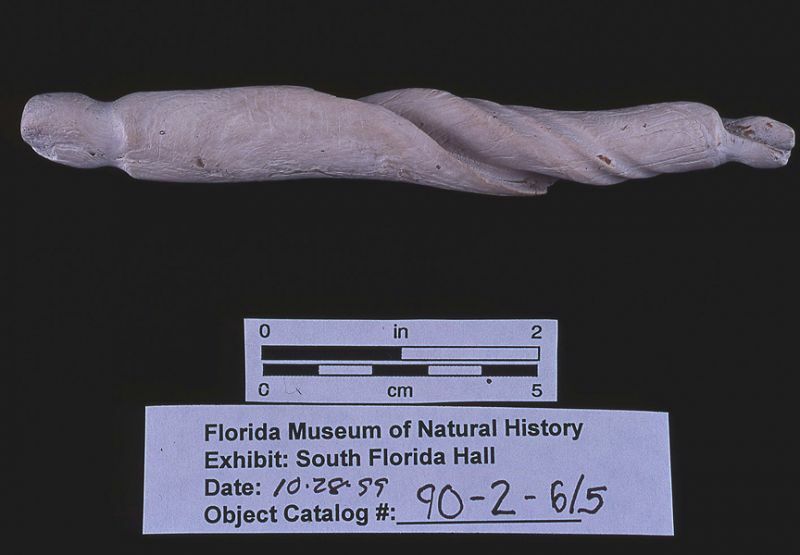 There are also important reference collections from elsewhere in South Florida. 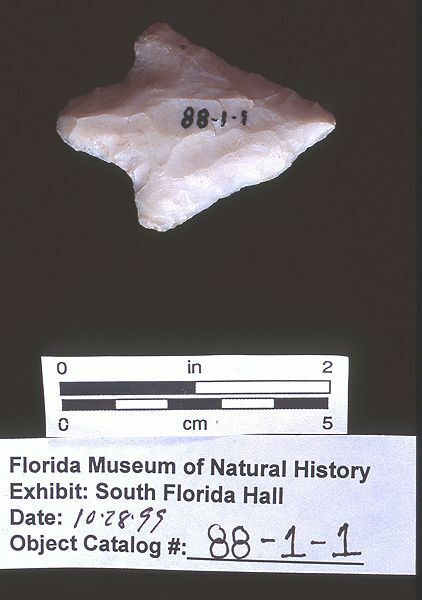 Some artifacts are on exhibit in the Hall of South Florida People and Environments. 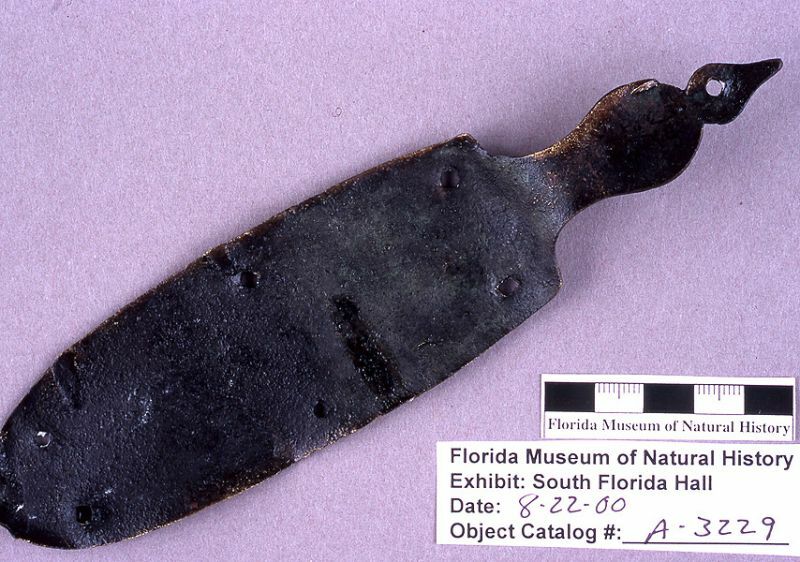 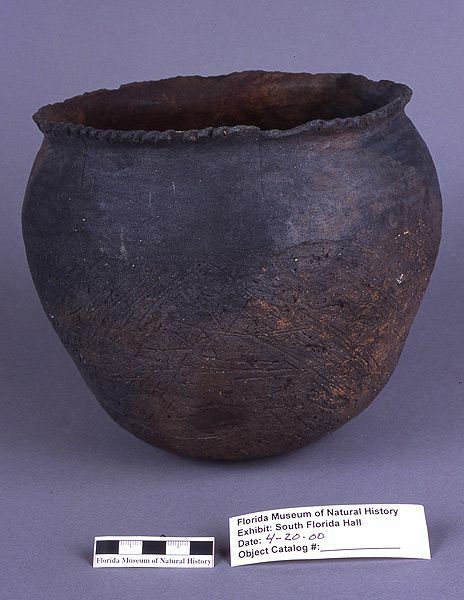 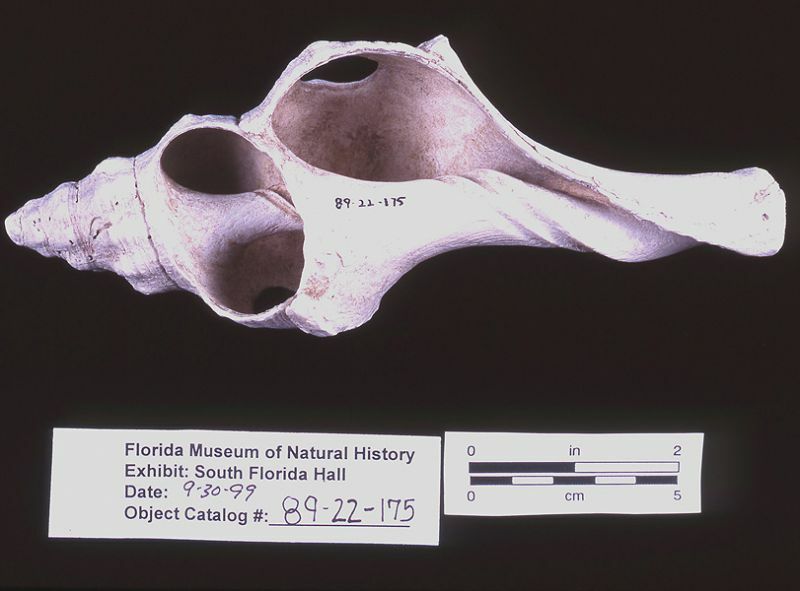 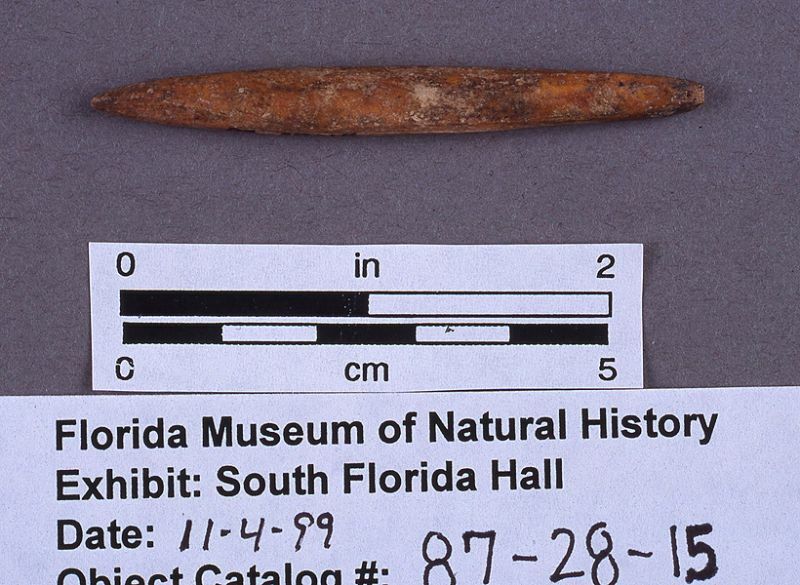 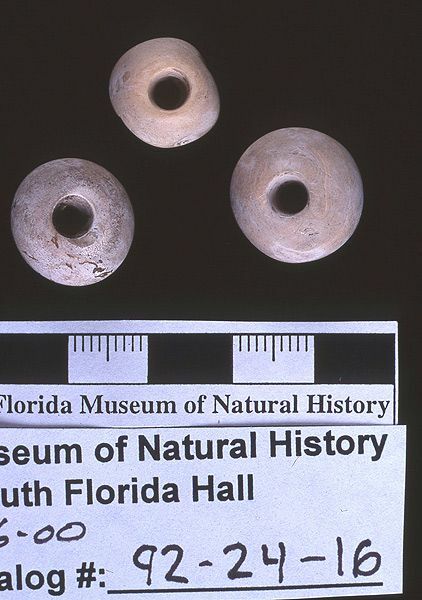 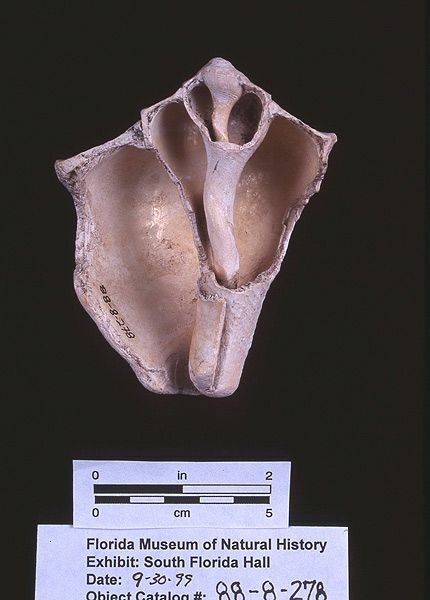 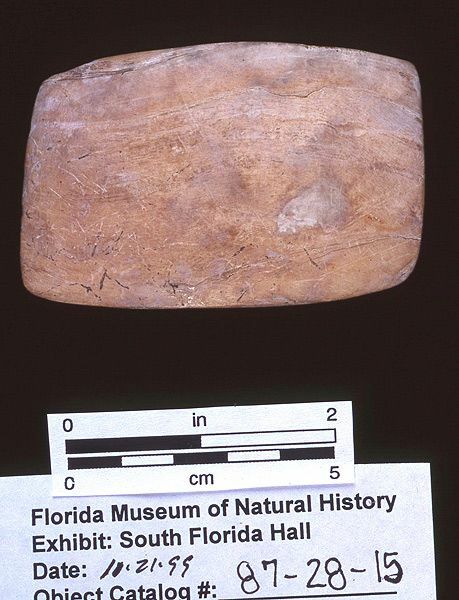 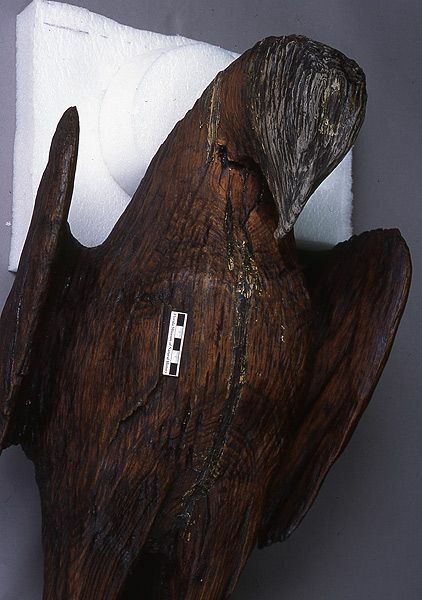 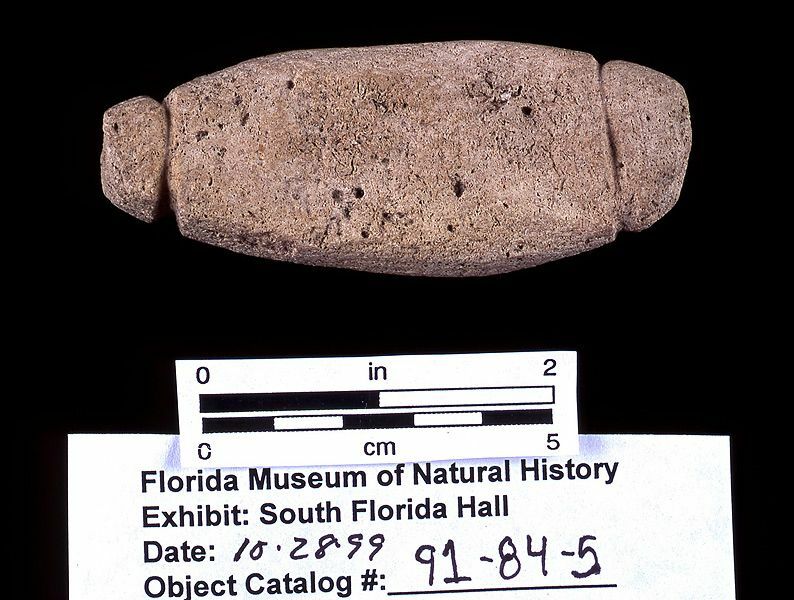 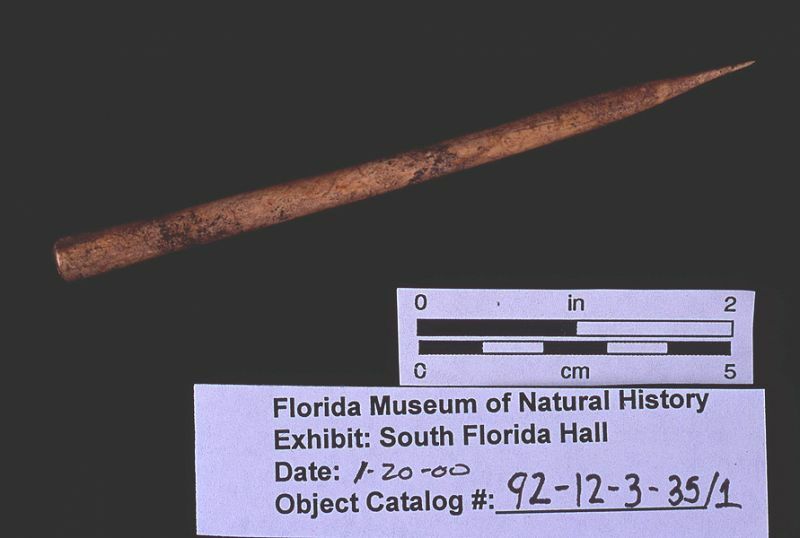 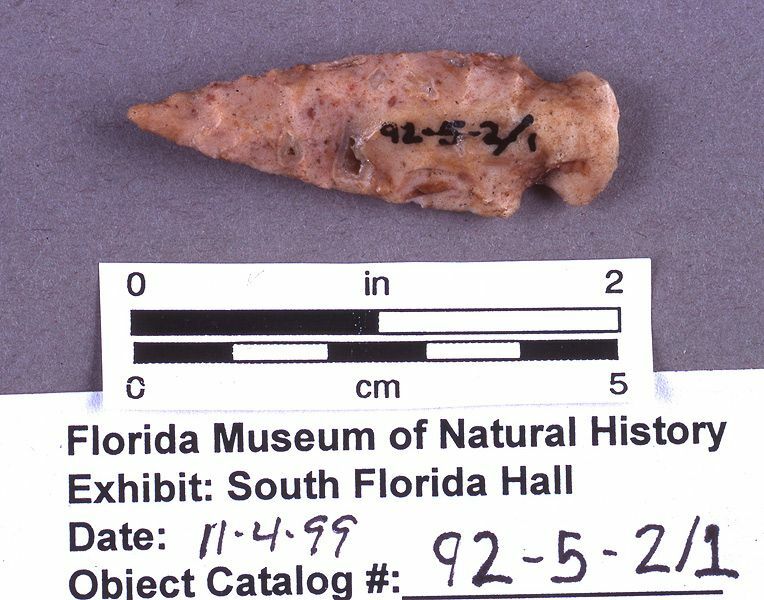 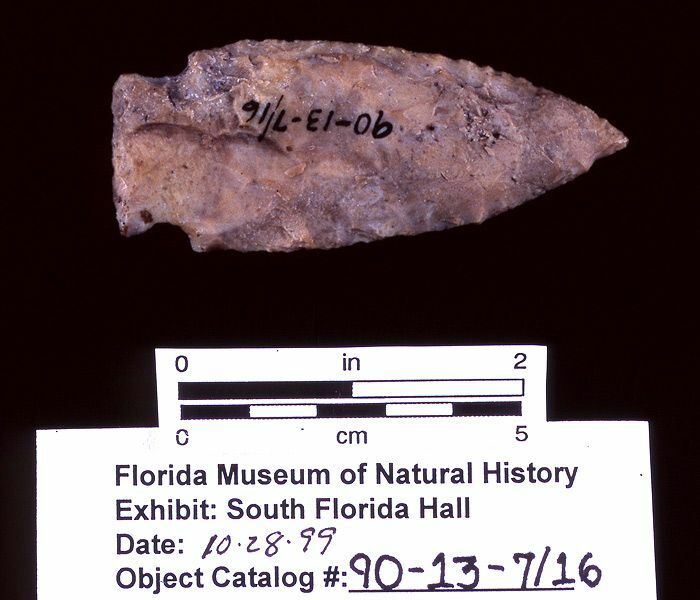 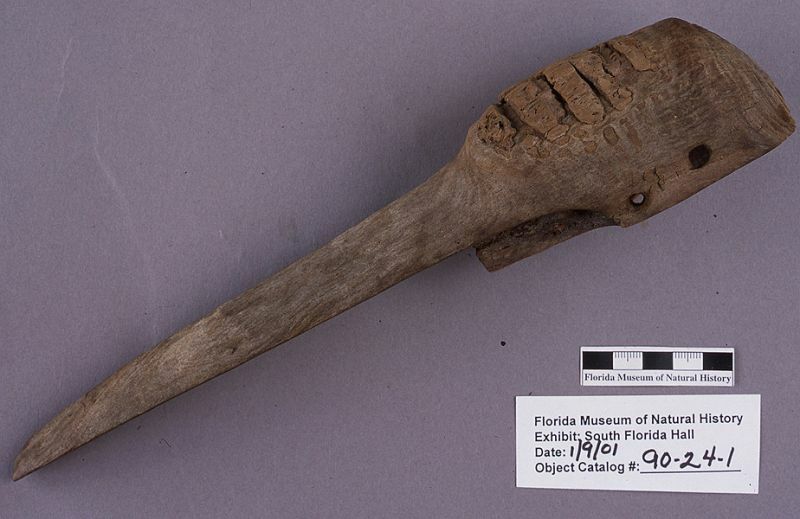 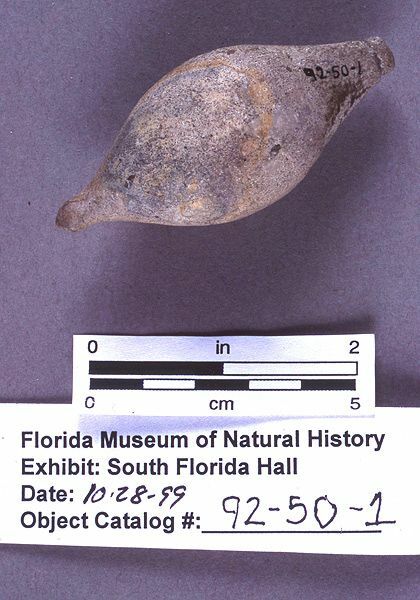 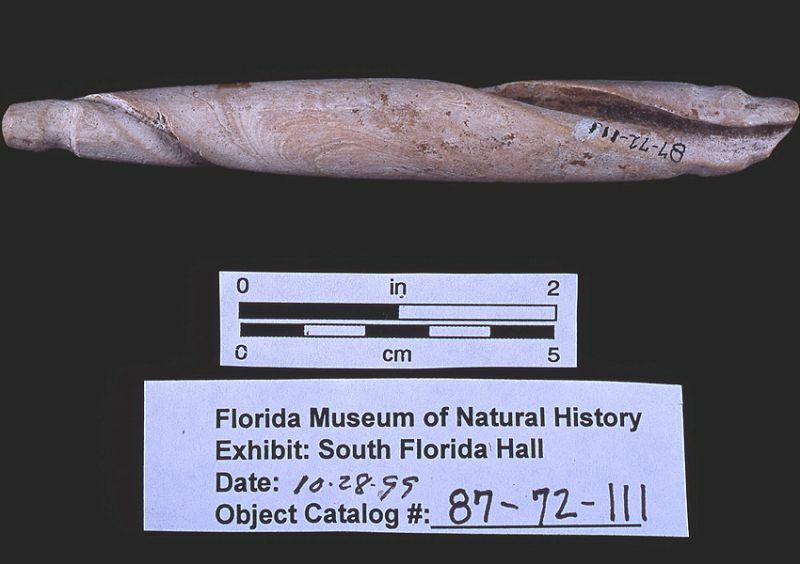 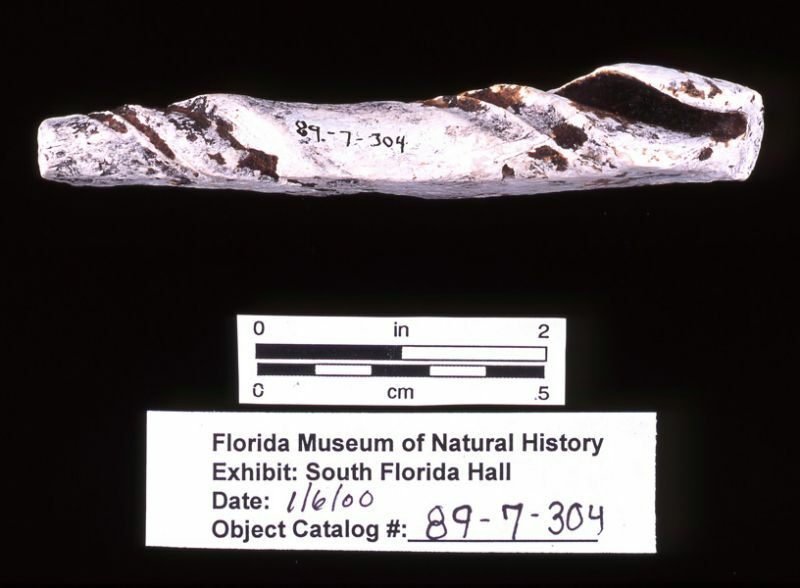 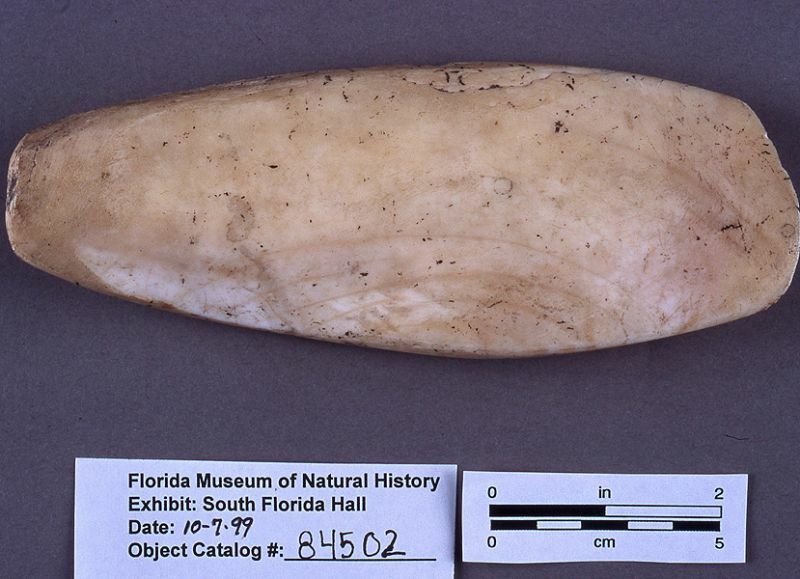 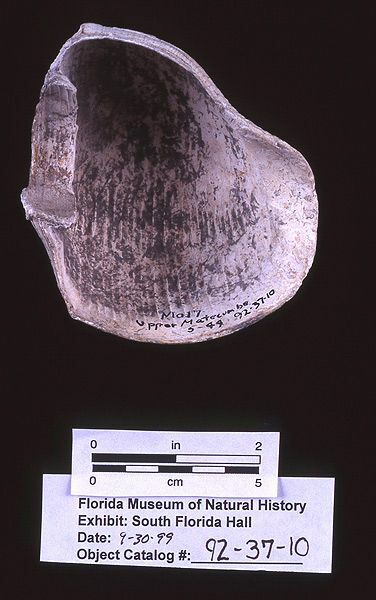 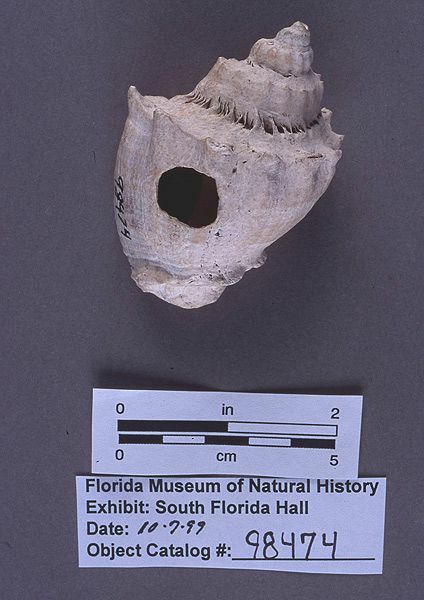 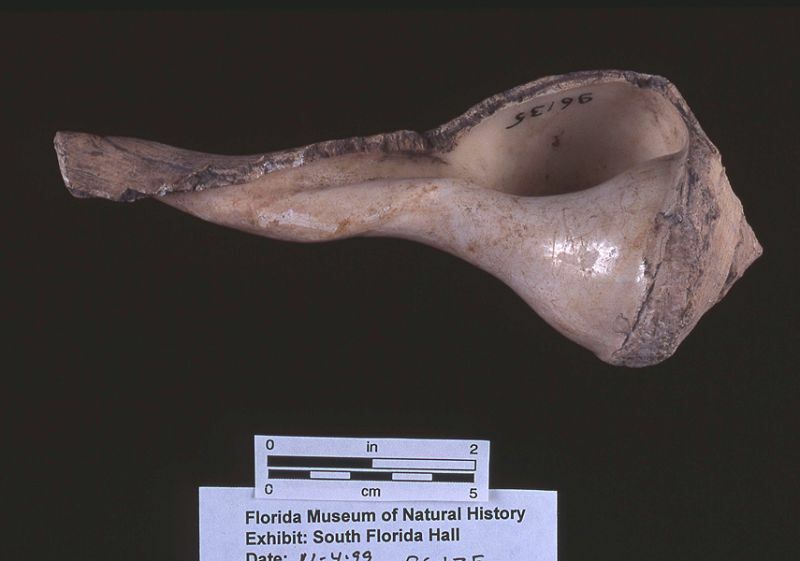 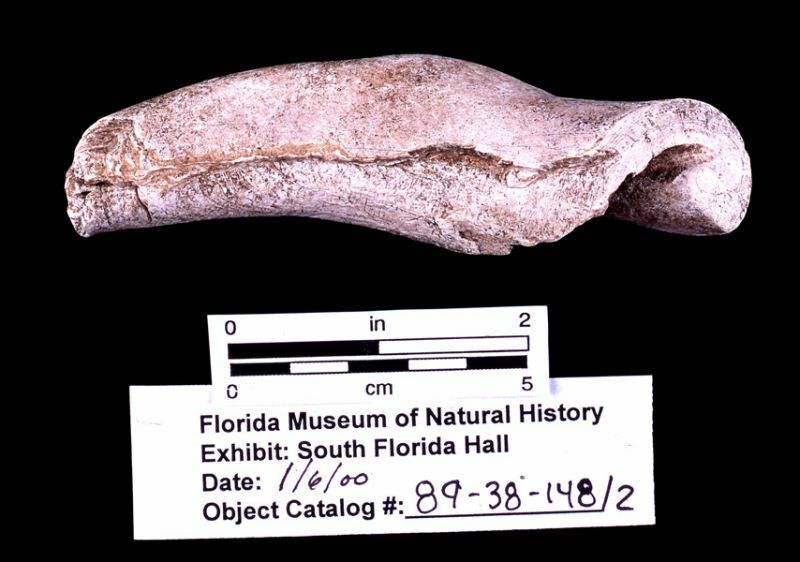 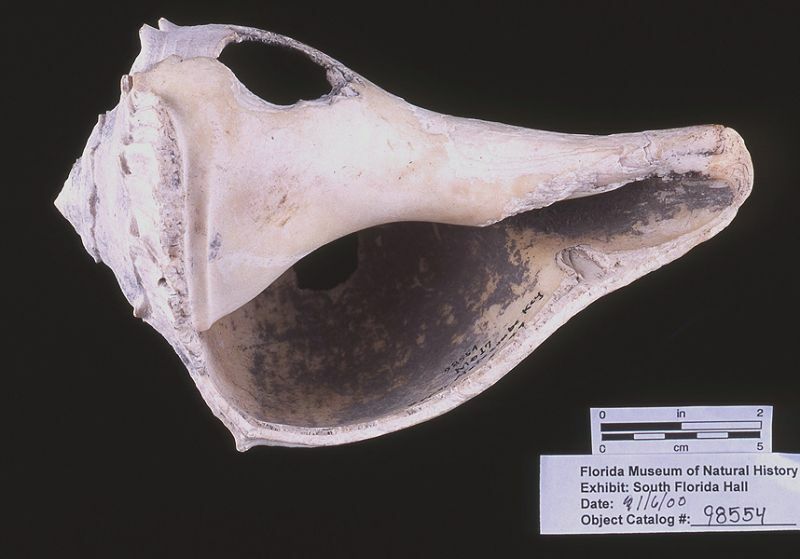 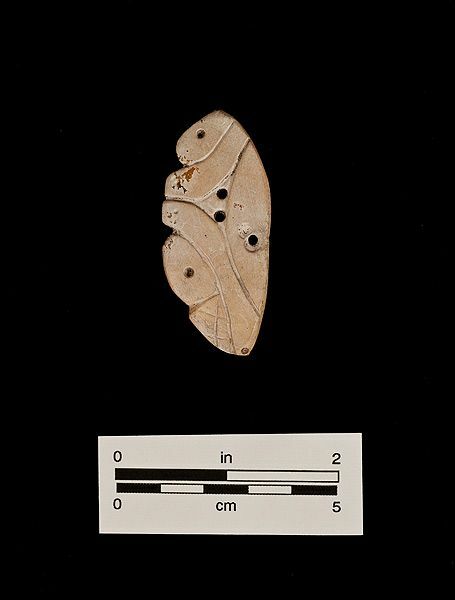 Archaeobotanical, zooarchaeological, and pedoarchaeological samples are curated in the Florida Museum’s Environmental Archaeology collections. 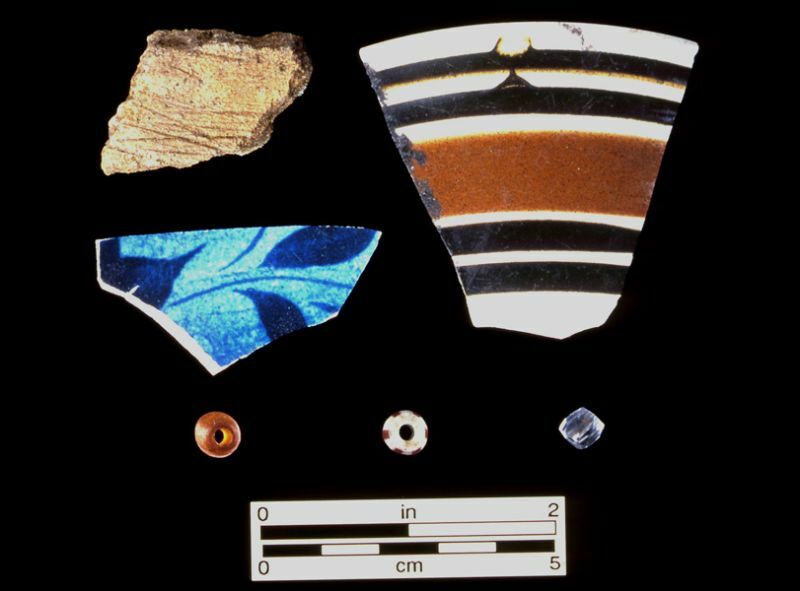 Miscellaneous ceramics and beads, ca. 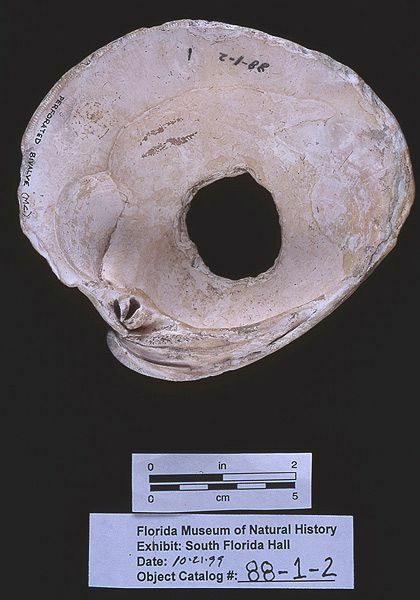 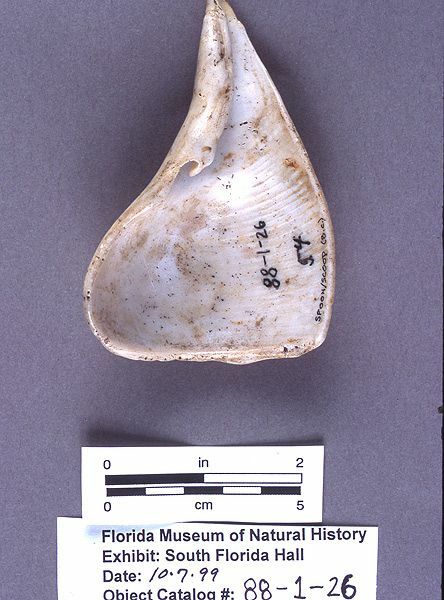 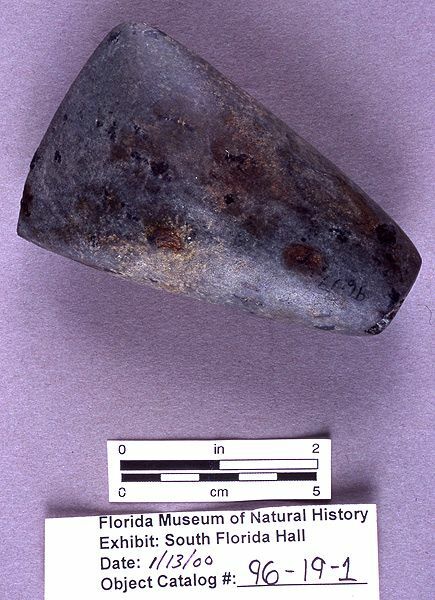 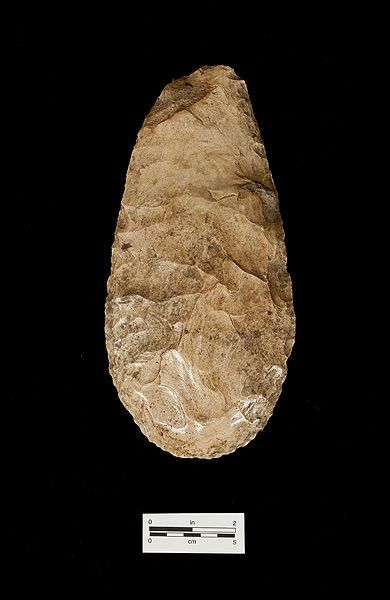 1770-1900, Useppa Island, Lee Co.
Chert hoe or spade, ca. 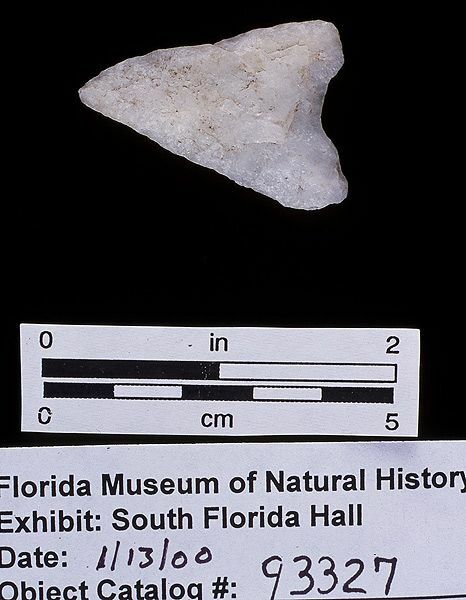 A.D. 1000-1500, Pineland, Lee Co. (2008-26-2).